1. The Central Committee, in its `Review of Lok Sabha Election’ adopted in June 2014, had decided on four major steps to be taken which are as follows: (i) Reexamination of the political-tactical line that we have been pursuing. (ii) Review of the functioning of the Party’s organisation and the orientation of work among the people. (iii) Review of the mass organisations and their activities to ensure their independent functioning and to see that the political work and Party building is taken up. (iv) Studies of the changes in the socio-economic conditions since liberalization and their impact on various classes, on the basis of which concrete slogans can be evolved. These four steps are interconnected and their implementation taken together should help us to eliminate the shortcomings – political and organizational – and help to advance the Party. “In successive Party Congresses we have been emphasizing the need for enhancing the independent strength of the Party. Some of the states have attributed the erosion of our independent strength to the tactics of aligning with the bourgeois parties. The failure to advance the independent strength of the Party necessitates a reexamination of the political-tactical line that we have been pursuing”. 3. We are undertaking this critical examination of the P-TL in the run-up to the 21st Congress of the Party. This exercise should help us in the formulation of an effective current P-TL at the Congress. The period we have to examine in terms of the P-TL is the last two and a half decades. This was the period when the Soviet Union was dismantled and the resultant change took place in the international correlation of class forces; when the neo-liberal phase unfolded and the imperialist-finance capital driven globalisation had its direct impact on our society; when the Hindutva communal forces gained ground as a political force and when caste based identity politics got pronounced. This is a period starting from the 13th Congress onwards. 4. The P-TL is the tactics we adopt from time to time in a specific situation in order to advance towards our strategic goal which is the People’s Democratic Revolution. The tactical goal we have set out in the P-TL is the forging of a Left and democratic Front in order to present the Left and democratic alternative to the bourgeois-landlord order. The struggle to forge the Left and democratic alternative is part of our effort to change the correlation of class forces so that we can advance towards our strategic goal. 5. The successive P-TLs adopted from the 13th Congress onwards helped the Party work out tactics and manoeuvres to meet the prevailing situation and to counter the immediate threat. The P-TL enabled the use of our limited strength in an effective manner to fight the anti-people policies of the Congress governments and to work out the tactics to defeat the Rajiv Gandhi government and later the Narasimha Rao government. It oriented the Party to fight the communal danger and to rally non-Congress secular forces to check the BJP from coming to power in 1996. Subsequently, it provided the correct direction for defeating the BJP-led NDA government in 2004. During the UPA-I government, our tactical approach helped the struggle to get certain pro-people measures adopted like NREGA and the Forests Rights Act. The successive tactical lines in this period also gave guidance to fight separatism, regional chauvinism and imperialist penetration. The tactical line also helped the Party to take up the issues of women, dalits and adivasis and to fight against social oppression. The Party acted as a consistent force for strengthening federalism and for changing Centre-State relations. 6. The tactical line called for the building of a united resistance to the neo-liberal policies. 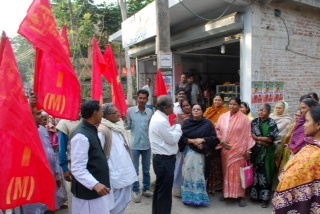 The fifteen general strikes at the all India level since 1991 were a product of the trade union unity achieved. Left unity and the coordination of the four Left parties progressed and strengthened in the last two decades. Importantly, the tactical lines evolved during this period helped the setting up of the Left-led governments in Kerala and Tripura and the consolidation of the Left Front government in West Bengal. 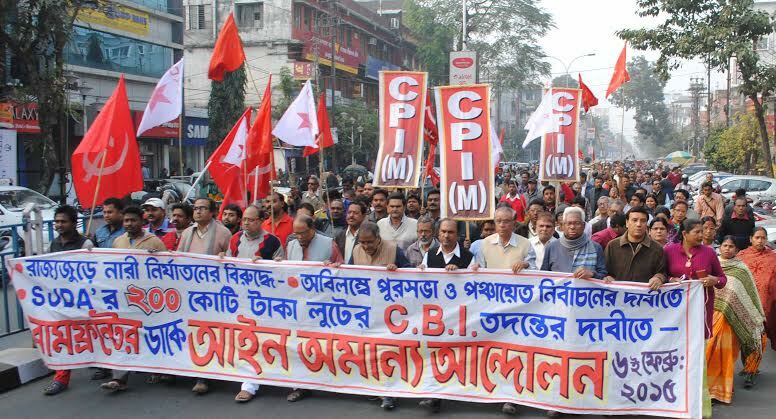 The P-TLs, as evolved and implemented in these two and a half decades, resulted in the CPI(M)’s increased intervention in national politics as the biggest Left force in the country. 7. However, what needs to be critically examined is how far the P-TL facilitated the independent growth of the Party and advanced the struggle to build the Left and Democratic Front. We have to examine the evolution of the P-TL in this period of two and a half decades to find out whether there are any defects or lags which have contributed to the lack of the independent growth of the Party and our inability to progress towards building the Left and democratic Front. 9. The Political Resolution of the 10th Congress had underlined the need for unleashing mass struggles and the important role of the mass organisations in building the foundation of Left and Democratic unity. “Only when the Left and democratic parties are able to draw these huge mass organisations in the common battle, will there be any chance for a viable Left and Democratic Front”. 12. Finally, the Political Resolution of the 10th Congress asserted that: “Independent political activity of the working class and its party and its growing strength is therefore necessary to build the front of the left and democratic forces.” This is to be accompanied by the ideological struggle with the other components of the front, so that the ideology of the working class is upheld against the bourgeois and petti-bourgeois ideologies. 13. We should also examine whether the P-TL which we have been adopting was itself conducive to directing our efforts towards building the Left and democratic Front. 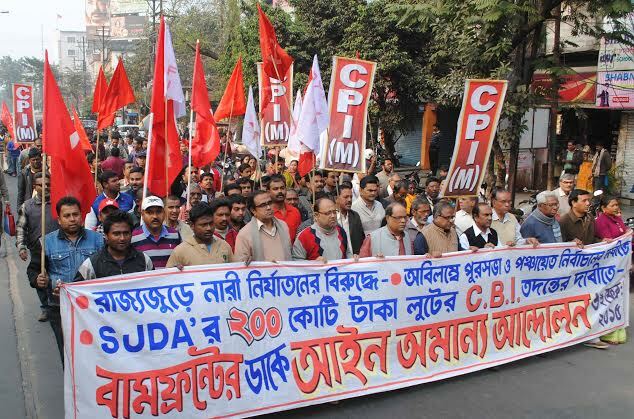 At the time of the 10th Congress, when the slogan of the Left and democratic Front was set out, there was the Left Front in West Bengal, the Left Front in Tripura and the CPI(M) led alliance in Kerala which later became the LDF. These were partial expressions of the national level LDF that had to be forged. After three and a half decades we have not gone beyond these fronts in the three states. There is no progress whatsoever at the all India level where actually the Left and democratic Front has to be formed. 14. For this we have to look for the reasons within the P-TL itself. From the 13th Congress (1988) we started talking of the unity of the Left and secular forces. We made a distinction between the immediate task of forging a non-Congress secular alternative to meet the current situation and the task of building the Left and democratic Front. By the 15th Congress we had set out the slogan of the unity of the Left, democratic and secular forces. By that time we had more or less concluded that the Left and democratic Front is a distant goal and is not a realizable slogan as reiterated in the 11th Congress of the Party. By and by we relegated the Left and democratic Front to a propaganda slogan. The Left, democratic and secular alliance became the new interim slogan. While this began as a slogan against the Rajiv Gandhi Congress government to rally the non-Congress secular bourgeois parties while demarcating from the BJP, later it became the slogan directed against the BJP. It is on that basis that we joined the United Front, without participating in the government in 1996. 15. After the collapse of the United Front, in the 16th Congress (1998) we set out the slogan of a third alternative. The idea was to again rally the secular bourgeois parties (mainly the regional parties) to ally with the Left parties. In the 17th Congress we clarified that the third alternative has to come about on the basis of a common programme or a set of policies and that it cannot be a mere electoral alliance. By the 18th Congress we had realised the difficulties in bringing around these parties onto a common programme and we said that without effecting a change in the outlook of the secular bourgeois parties, it would not be possible to go towards the formation of a third alternative. In the 19th Congress, we said that only with joint movements and struggles can the secular bourgeois parties be influenced to come forward for a common programme. 16. As the realization of a third alternative became more unattainable, in the 18th Congress Political Resolution another distinction was made between the electoral understanding for specific elections by drawing the non-Congress bourgeois parties and the building of a third alternative. Thus the Left and democratic Front was relegated to the third phase of our task. The first phase being the immediate current task of electoral understanding for a specific election by drawing in the non-Congress bourgeois secular parties. The second phase being the formation of a third alternative based on a common programme which would be forged by building joint movements and struggles. The third phase was the building of the Left and democratic Front. 17. Both the 1996 and 1998 Lok Sabha election reviews underlined the need for reexamination of the political tactical line. This was in light of the fact that the Party had made no worthwhile advance with the defeat of the Congress and the main gainer was the BJP. Though some efforts were made, the Polit Bureau could review only the implementation of the P-TL with respect to united front tactics with the bourgeois parties. The review conducted at the 17th Congress pinpointed the weaknesses and shortcomings in the united front tactics with the bourgeois parties especially in the electoral sphere. The review strongly asserted the tactical line of pursuing the Left and democratic Front. It was also distinguished from the immediate task of forging a broader unity of the Left democratic and secular parties and the third alternative. However, significantly, the review recognised that the pursuit of the immediate task is working to the detriment of developing the independent role and advancing the struggle of the Left and democratic forces. “The immediate task has been the main preoccupation in practice, leading to the delinking of the immediate political and electoral tasks stemming from the current needs of the situation, from equally important and basic tasks set out in the political tactical line of developing the independent activity of the Party and advancing the struggle of the Left and democratic forces”. (Review of Political Tactical Line with Reference to United Front Tactics, 17th Congress). 19. However, the P-TL continued to posit the current task of striving for a third alternative along with the tactical goal of Left and democratic Front. After repeated efforts when no viable alternative emerged in the 15 years since we first gave this call, we finally reviewed the whole experience of forging a third alternative in the 20th Congress. Here we came to the conclusion that it is not feasible to rally all these secular opposition parties on a common programme and dropped the slogan. We reiterated that the main effort is to build a Left and democratic Front. As far as electoral tactics are concerned, the Political Resolution stated that we could enter into alliances with the secular bourgeois parties in states wherever it is required for the Party’s interests. 20. While the successive PT-Ls evolved from the 15th Congress onwards helped us to work out electoral tactics and parliamentary manoeuvres to meet the current situation and to counter the immediate threat, it should be noted that the preoccupation with these immediate tasks did not help much in advancing the independent strength of the Party, without which there can be no change in the balance of political forces. The balance of forces revolved around the two main ruling class parties, the Congress and the BJP. If the BJP was kept away from getting power at the centre in 1996, it succeeded in forming governments in 1998 and 1999. The defeat of the BJP-NDA in 2004 resulted in the ten year rule of the Congress-led UPA government. This has been followed by the return of the BJP with greater strength in 2014. This underlines the failure to increase the independent strength of the Party and advancing the Left and democratic forces. 21. The reality is that throughout this period when we were stressing for a third alternative, the independent strength of the Party did not grow. This itself undermined the possibility of rallying the other secular bourgeois parties. As the independent strength of the Party did not grow over this period, it became difficult to rally these parties even for an electoral alliance in the states. In the recent Lok Sabha elections many of the regional bourgeois parties were unwilling to have any electoral understanding with us. When we talk of the secular bourgeois parties there is no all India non-Congress secular party. So our efforts to forge the unity of the Left, democratic and secular forces for a third alternative has been directed mainly at the regional parties. 22. From the 1960s our understanding of the regional parties was that they represent the regional bourgeois-landlord classes. They had a contradiction with the big bourgeoisie and they could be rallied against the Congress government at the Centre and on issues of states rights. We had clarified their role in the 1967 CC document on New Situation and Tasks. But after the advent of liberalisation and the neo-liberal policies, the role of the regional parties underwent a change. We noted this in the 16th and 17th Congresses. 23. Under the impact of globalization and in the neo-liberal policies phase, sections of the regional bourgeoisie have joined the ranks of the big bourgeoisie. Further, the contradiction between the non-big bourgeoisie and the big bourgeoisie has become muted. As a result we have seen how the neo-liberal policies have been embraced by the regional bourgeois parties. In the recent years we have seen that these parties are not willing to come to any joint platform against the economic policies. Further, since they represent the rural rich nexus, their outlook towards the issues of the poor peasants and the agricultural workers are different. They have also displayed constant opportunism in allying with the BJP or the Congress as and when it suited them. Despite this we have been pursuing the line of rallying them around a common set of alternative policies at the national level. This has proved unrealistic and erroneous. 24. From the 7th Congress onwards we have been stressing the importance of united actions. United actions of the class and mass organisations and developing joint movements at the Party level will enable us to approach the masses who are under the influence of the bourgeois parties. We should have no hesitation to have united actions with the regional parties on issues wherever it is possible. It is this aspect which has to be emphasized. This is directly related to development of the independent role and strength of the Party. However, by and large the exercise of united front tactics has been confined to the electoral arena because of the attitude of the secular bourgeois parties. The regional bourgeois parties have not been willing to come for joint struggles or united actions on people’s issues, despite our efforts. Only at the time of elections, when any electoral alliance is in the offing are they willing to have some joint campaigns or meetings. 25. At times the task of rallying the Left, democratic and secular forces and forging their unity against the BJP tended to go towards having an understanding with the Congress. This was translated to having an understanding with the Congress in the Andhra Pradesh assembly election in 2004 and subsequently there were electoral understandings with the Congress in Odisha, Punjab and Maharashtra. This went against the understanding set out in the 17th Congress (2002) that while the main direction of our fight should be against the BJP, there should be no understanding or alliance with the Congress. 26. The efforts to project a third alternative or a Left, democratic and secular alternative at the national level have not been conducive to developing the independent role of the Party. The projection of the Left and democratic Front was hindered by the pursuit of alliances with the secular bourgeois parties either at the national level or state level (at least in the weaker states). The immediate tactical line of building a third alternative to meet the current situation subordinated the task of putting forward a political and economic programme distinctly and strongly opposed to the policies and practices of the bourgeois-landlord parties. Without putting forth such a programme distinct from the policies and practices of the bourgeois-landlord parties (including the dominant regional bourgeois party in a state) and conducting struggles and movements on concrete slogans based on it, it will not be possible to win over the masses following the bourgeois political parties. 27. In the stronger states where Left-led fronts exist, going with the smaller bourgeois parties does not detract from projecting the Left and democratic programme. But in weaker states going with the much stronger regional parties hampers the projection of the Left and democratic Front and programme. 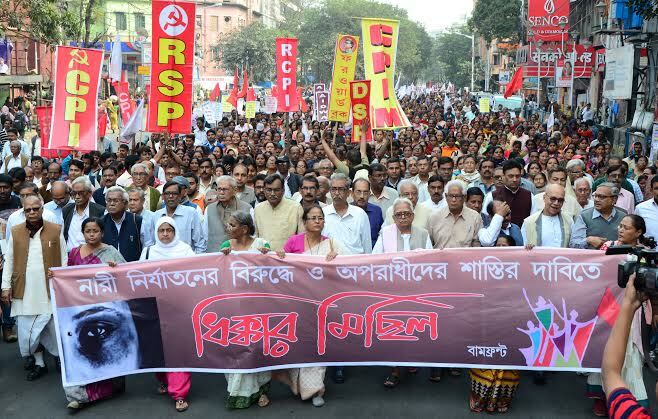 Often, the struggles and movements of the classes we want to rally for the Left and democratic Front have to be directed against the state governments run by regional parties. In some states, the regional party is much stronger than the Congress or the BJP and our campaign and struggles will have to be directed at times against the dominant regional party. We have to keep in mind that just as the fronts of the Left and democratic forces advanced in West Bengal, Kerala and Tripura, similarly, the tactical line should give direction for the rallying of the Left and democratic forces in the other states. 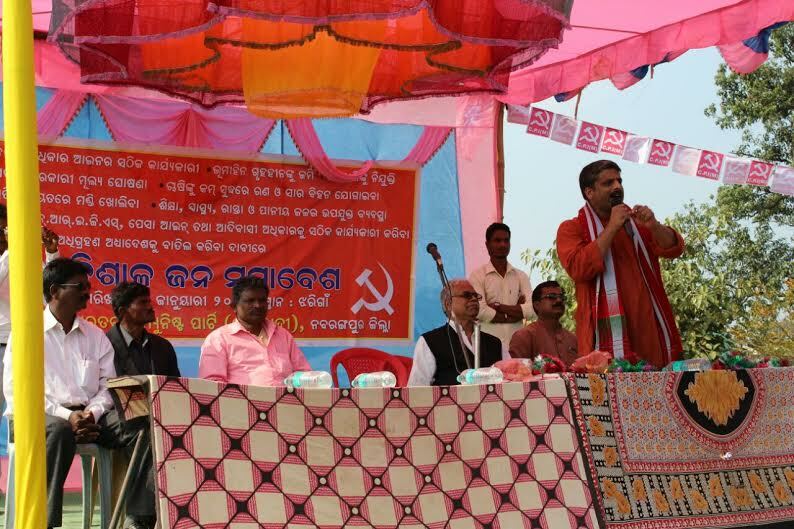 An all-India line of rallying the secular bourgeois parties for an alliance often detracts from the work of rallying the Left and democratic forces in the state. 28. The Party can adopt suitable electoral tactics in the states for understanding with the regional parties, wherever it is in the Party’s interests and in the interests of rallying the Left and democratic forces. It should however not be dictated by any all India line to rally the secular bourgeois parties for a national alliance. When entering into any electoral understanding, we should also keep in mind the correct approach set out in the review report of the 17th Congress. 29. There can be swift changes in the political situation. New contradictions may emerge amongst the bourgeois parties and within them. Political parties may undergo changes through splits or coming together to form a new party. Flexible tactics should be evolved to deal with the situation. In our pursuit of united actions, joint platforms may have to be formed on specific political or mass issues. 31. But we have been unable to register progress in increasing the independent strength of the Party. The Party registered a steady growth in the Party membership and the membership of the all India class and mass organisations in the last two and a half decades. The Party membership has increased from 5.8 lakhs at the time of the 14th Congress to 10.45 lakhs at the time of the 20th Congress. The combined mass organisation membership went up from 2.88 crore at the time of the 14th Congress to 6.10 crore at the time of the 20th Congress. But this increase is mainly concentrated in three states – West Bengal, Kerala and Tripura. Party membership of these three states constitutes 73 per cent of the total membership currently. The membership of the mass organisations of these three states accounts for 76 per cent of the total all India membership. Further, the growth in Party membership and mass organisation membership in the next two big states Tamilnadu and Andhra Pradesh (united) do not indicate any major increase in the mass influence and independent strength of the Party. In electoral terms, there has been a decline in these two states. Since then the situation has not improved in the weaker states and along with that there is the erosion of support that we have suffered in West Bengal. 33. We have been putting forth the task of fighting against the neo-liberal policies and the bourgeois-landlord order by mobilizing the working class, peasantry, agricultural workers and other sections of the working people. Along with this we have to wage the ideological struggle and the struggles against social oppression. The Party’s advance and independent growth basically depends on the advance of these struggles and movements. 34. There has been a complete shift in the paradigm of capitalist development after liberalisation in 1991 and the onset of neo-liberal policies. Information technology has had a profound effect on production processes and society. There was a lag in arriving at a comprehensive understanding of this phase of neo-liberal capitalism. Without analyzing the deep changes and the impact on various classes, it is not possible to formulate correct slogans and tactics for developing the various mass movements of the working class, peasantry, youth, students and other sections. Even though we stated that the “main task is to fight the whole gamut of neo-liberal policies which are affecting the lives of various sections of the people” (20th Congress), we have not adequately addressed this task by formulating correct tactics and slogans for the mass movements and developing class struggles. As decided by the Central Committee’s Review Report, we have undertaken concrete studies of the changes which have occurred in the various classes and sectors. We should be able on that basis to formulate concrete tactics and slogans and incorporate them in the P-TL at the 21st Congress. 35. We have noted in the updated Party Programme that there is a rural rich nexus in the countryside consisting of landlords, rich farmers, contractors, big traders and so on. This is the class with which the contradictions of the poor peasants and agricultural workers have grown. Are we able to take up the issues of the poor peasants and agricultural workers and orient the movement in that direction? One of the reasons for failing to do so can be connected to the fact that we are viewing the regional bourgeois parties representing this rural rich nexus as our potential electoral allies. 36. The neo-liberal policies are being pursued at the behest of the ruling classes. They are not advocated by any one central government. Since the Narasimha Rao government in 1991, all successive central governments have pursued the same trajectory. We have underplayed this aspect from time to time. In the name of warding off the communal danger we became party to a Common Minimum Programme of the United Front government whose main trajectory was to pursue policies of liberalisation and privatization. Subsequently, in 2004 we extended support to the UPA government from outside which was a correct step. However, the UPA government’s main thrust through the CMP was to implement neo-liberal policies. 37. Another aspect of the struggle against the neo-liberal reforms concerns the approach and policies that a Left-led government had to adopt. The Left Front Government of West Bengal which was the longest running government led by us had to grapple with this question. The problem came to the fore on the issue of land acquisition for industrialization. 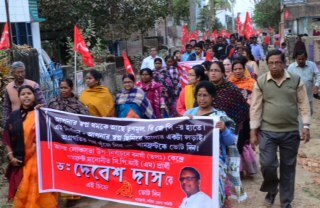 The proposal for land acquisition at Nandigram and some other projects led to alienation among sections of the peasantry. At the all India level it was seen as part of the agenda of the corporates for land grab under the neo-liberal regime. The issue cost us heavily in West Bengal and compromised the image of the Party at the all India level. The policies the Left Front Government adopted in the last decade of its tenure, when the neo-liberal policies were in place need to be critically examined. We have to draw proper lessons so that we can provide a proper course of action when the need arises in the future. 38. What has to be recognised is that the processes underway during the globalisation-neo-liberal regime have posed new problems for the Left and has created adverse conditions for developing the movements of the working class, agrarian, students and youth. It is imperative that we understand the processes at work and work out new and suitable tactics and organisational methods. This will be the basis for the growth of the independent strength of the Party. 39. In implementing various aspects of the P-TL, there were at times some errors of assessment and lapses. We have been adopting electoral tactics during the various general elections based on the current tactical line. These were reviewed subsequently and certain wrong assessments and errors identified. For instance, in the review of the 1999 Lok Sabha election, it was noted that certain pronouncements of the leadership during the election campaign gave the impression that we were adopting a pro-Congress position. It was self-critically noted that such statements created the impression that we were keen for cooperation with the Congress and was not serious about rebuilding a third alternative after the election. There was an overestimation of the strength of the Congress in the assessment made by the Party Centre in the course of the election campaign. In the 2009 Lok Sabha election, we reviewed and concluded that it was incorrect to have given the slogan of an alternative government when no credible national level electoral alternative existed. 40. In the implementation of our tactics, there were some lapses. In the 1996-98 period, when we were supporting the United Front government, we reviewed our role in that period and concluded that we had failed to sufficiently demarcate from the pro-liberalisation policies of the government. Further, the pre-occupation with keeping the government in office resulted in diverting our attention away from developing mass struggles and mass movements. 41. On the question of withdrawal of support to the UPA government in July 2008, the 20th Congress reviewed the decision and concluded that there was no other way but to withdraw support at that time. But the withdrawal of support should have been effected earlier in October-November 2007, when the government wanted to go to the IAEA for talks. Not doing so at that time was a mistake. The PB and the CC underestimated the determination and the capacity of the ruling classes and US imperialism to pursue the nuclear deal as part of the strategic alliance. We also overestimated our own strength and capacity to influence events. Allowing the government to go to the IAEA for talks and the expectation that the Congress would abide by an understanding not to proceed with the operationalisation of the deal was wrong. 42. As pointed out, in another context, there have been weaknesses in developing the activities to counter the communal forces. Even though the P-TL had given the direction to counter the communal forces, there were inadequate efforts at the ground level to take concrete steps to fight the communal forces especially in the social and cultural spheres. Similarly, successive Party Congresses have noted the failure by the Party to take up social issues as directed in the tactical line. 43. Such lapses and errors in implementing the P-TL and the electoral tactics flowing from it have also contributed to our inability to advance towards our tactical goals. 44. The main direction of our attack should be against the BJP when it is in power but this cannot mean having an electoral understanding with the Congress. Neither should there be an approach that the main task of fighting the neo-liberal policies should be subordinated to the fight against communalism. There should be no dichotomy in our approach regarding the fight against communalism and the fight for people’s livelihood against the neo-liberal policies. The fight against the RSS and the BJP should not be reduced to merely election tactics. It is part of our fight against communalism which disrupts the unity of the working people. It is also used as an instrument by the ruling classes to divert the discontent engendered by the neo-liberal policies and the bourgeois-landlord order. The rise of majority communalism leads to minority communalism which needs to be countered too. In our understanding, the fight against neo-liberal policies and communalism are interconnected. There should be an integrated approach of taking up the struggle of the people’s livelihood along with the fight against communal forces and the Hindutva ideology. Only by integrating these struggles can we mobilise mass support against communal forces. From the social angle, the fight against the Hindutva communalism requires the struggle against caste and women’s oppression as the Hindutva ideology is embedded in the caste system and patriarchy. 45. Given the danger posed by the communal forces, we should strive for the broader unity of the secular and democratic forces. 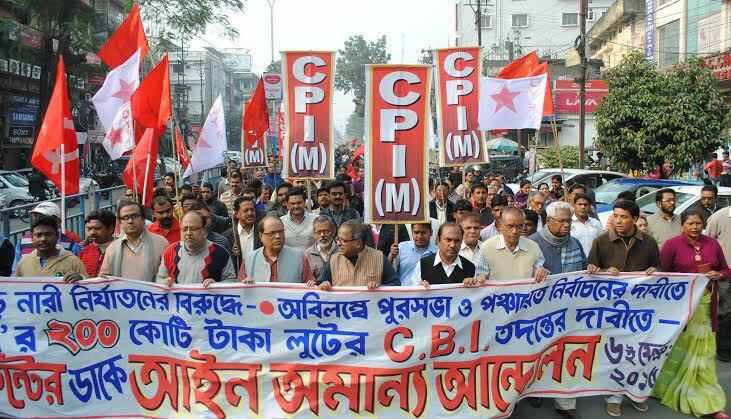 Such joint platforms are necessary for a wider mobilization against communalism. Such platforms, however, should not be seen as the basis for electoral alliances. 46. Parliamentarism is a reformist outlook that confines the Party’s activities to electoral work and the illusion that the Party’s advance can be ensured mainly through fighting elections. This leads to the neglect of the work of organizing mass movements, Party building and conducting the ideological struggle. Parliamentary and extra-parliamentary work have to be combined to strengthen the mass movements and the political struggle. 47. The P-TL has to pay adequate attention to this aspect. If the focus had been on strengthening the independent role of the Party and building the Left and democratic Front (which is a class based alliance, not an electoral alliance), then what we see in practice today of concentrating on electoral tactics, seeking to build an electoral understanding with bourgeois parties and projection of an alternative which is only electoral in nature could have been avoided. 48. Parliamentary democracy is getting restricted by the neo-liberal setup and the entry of big money and the corporate media in politics. This needs to be taken into account. This does not mean we should neglect, or, underplay our work in the electoral arena. In fact, the Party has to exert to project its independent role, politically, in the election battles. Our work in the electoral arena is weak and poorly organized because of the weaknesses in not strengthening the independent role and activities and developing the mass and class struggles out of which we can organizationally consolidate our influence. 49. The successive P-TLs have helped to meet the prevailing situation and by and large formulate correct electoral tactics to fight the Congress and the BJP. 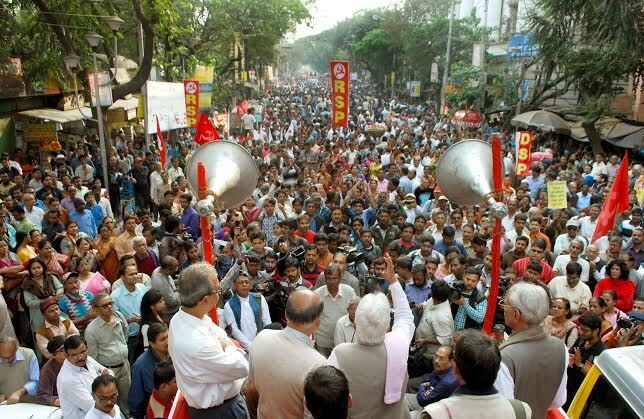 The P-TL helped in strengthening Left unity and the formation and consolidation of the Left-led state governments. 50. The lag in having a comprehensive understanding of the impact of neo-liberal capitalism on society and classes was a weakness in providing the necessary direction and thrust for building struggles and movements of the working people. 51. The P-TL has been setting out the task of alliance of the Left, democratic and secular parties which was elevated into an interim front such as the third alternative based on a common programme. This quest has been fruitless and detracted from the focus on developing the independent strength of the Party based on developing movements and struggles, at times underplaying the priority of fighting against the neo-liberal policies of successive governments. 52. A major consequence has been to relegate the Left and democratic Front from becoming a realizable goal and being consigned to a propaganda slogan. 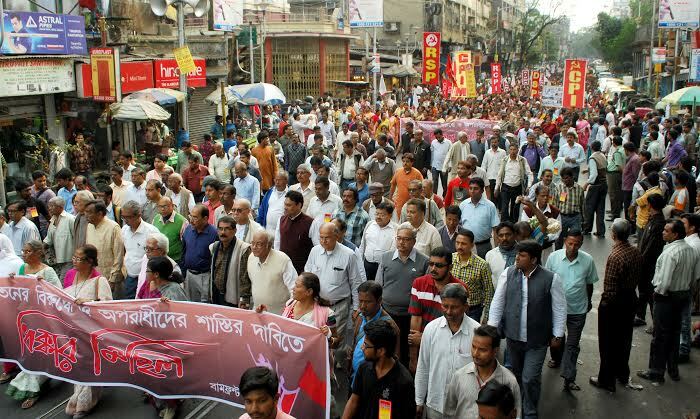 This has diverted from the main focus of building sustained struggles, united actions of different sections of the working people who are the sufferers of the neo-liberal order and fighting communalism in an integrated manner at the ground level. 54. The restoration of the primacy of the Left and democratic Front and programme for rallying the classes behind it. We have to give more thought to fleshing out the nature of this front (since it was last attempted in the 10th Congress). As part of this we should take steps to widen and deepen Left unity. 55. Priority should be given to enhance the independent role of the Party and expanding its strength and mass base. 56. Formulating the concrete tactics and slogans to develop the class struggle of the workers, peasants, agricultural workers and the mass struggles of other sections of the people. This should be done on the basis of the concrete study undertaken of the changes that have occurred. 57. The forthcoming tactical line should be able to give concrete direction and content to the struggle against the Hindutva forces and the communal ideology at the political, ideological and organisational planes. 58. The P-TL should be able to give concrete guidance on fighting caste oppression and countering identity politics. Fight for women’s rights and against gender oppression needs to be given more emphasis. The Party should be able to take up social issues in a big way and ensure the special intervention necessary to take up the issues of dalits, adivasis and minorities. 59. The P-TL should provide direction to united actions for the class and mass organisations and for the Party’s efforts for joint platforms and united actions on mass issues. 60. Electoral tactics should be dovetailed to the primacy of building the Left and democratic front. In the present stage, given the role of the regional parties, there is no basis for forging an alliance with them at the national level. Instead, we can have electoral adjustments with non-Left parties in states wherever required in the Party’s interests and which can help rally the Left and democratic forces in the state. 61. The implementation of the P-TL depends on the Party organisation and its capacity to do so effectively. Without an organisation equipped to work among the people and draw them into class and mass struggles and consolidating the mass influence politically, the tactical line cannot be properly implemented. The ideological level of the Party cadres is also a factor. We have to review the state of the Party organisation and critically examine the methods and style of functioning at all levels. On this basis, we will have to provide a new impetus to the organisation and devise new ways to reach out to different sections of the people. The correct orientation of class and mass organisations, their independent functioning and the correct approach of the Party vis-à-vis the mass organisations should be ensured. After the 21st Congress adopts the current Political-Tactical Line, the Plenum on Organisation will have to address this important task. 1. All amendments should mention the para number/line number. 2. The name and unit of the concerned comrade/unit proposing the amendment should also be mentioned. 3. All amendments should reach latest by March 25, 2015. 5. The envelope should be marked ‘Amendments to the Draft Review Report on the Political-Tactical Line’. 6. As faxes may get smudged, comrades may avoid sending them by fax. 7. Those sending amendments by email are requested to send it either as text or Word files only. Those sending in languages other than English should send PDF files.